Then, which is at least 80-95% of cases, there has been no conscious design of ANY kind of project management approach. It has just been carrying on as normal and using the skill sets as possessed. Large projects however need to be managed in different ways. When you are talking of housing allocations for counties of a million or more with investments on the back of that of 100s of million or more, when you are talking increasingly of local aithorities getting into teh property development game with Garden Communities requiring those authorities to borrow 100s of million in the expectation of cpaturing land value gains of potentially billions then entirely different methodologies are needed, ones that ensure projects don’t go off track. What is worse the skills gap and poor practice has been state subsidized with MHCLG grants used to perpetuate such poor practice and consequentially slow and inefficient plan making. 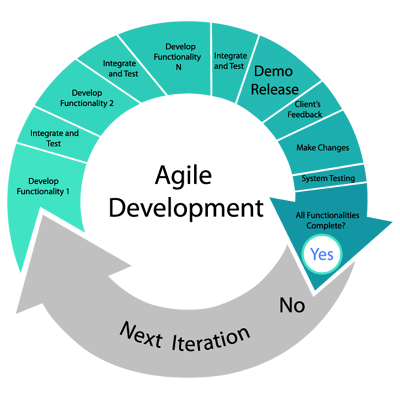 Knowing it or not most development plans are still managed as ‘waterfall projects’. You do survey before draft plan before consultation before submission etc. This doesn’t work in plan making. The housing numbers are forever changing, and your always going around in a loop to stage 1. The rest of the world has changed to Agile. So does development plan making. 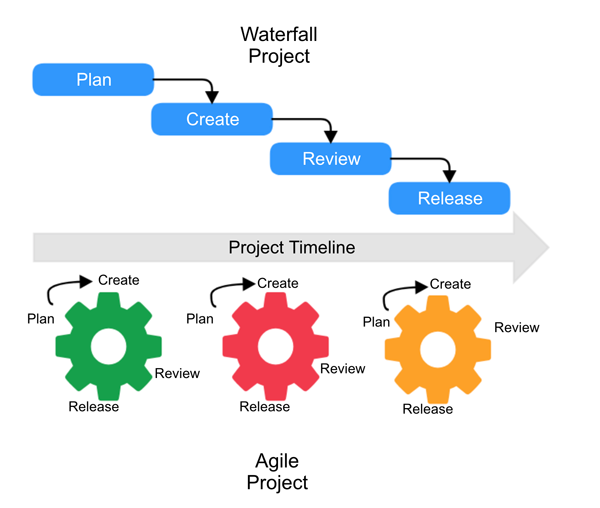 Agile is iterative and based upon continuous improvement of system design, based on 2-4 week cycles called sprints each of which builds a usable small component, so that over time you build towards a usable and ever improving product. Scope is rigoursly controlled and only expanded where it is essential to meeting customer (stakeholders in planning too) essential requirements. It has become central to central government working – here is the governments service manual – but is still only central to a handful of local authorities. Homes England has been an enthusiastic adopter. The speed of systems change in Homes England has been such that LPAs will soon have to run to catch up. 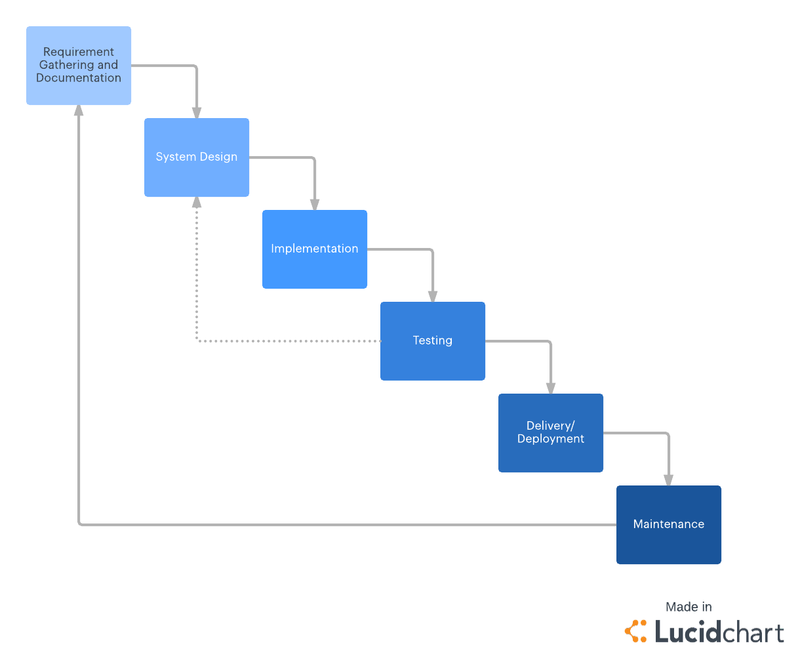 The key to adopting such an approach is ensuring that a plan is broken up into a number of sprintable modules and ensuring there are dedicated full time teams able to handle these simple components. We often see in local government contracts of 4-6 months to the private sector juggling too many such contracts across many authorities in several stages with even the first stage typically taking the full length of the original contract when it should be only 4-6 weeks work. These kind of contracts don’t work. More flexible contracts of seconding staff to lead dedicated scrum teams for 4-6 weeks with payment at the end based on delivery of the component should be the norm. Often the basic building blocks are not put in place first, such as common data platforms, GIS systems to avoid double counting, consultation platforms, even list of consultees and statutory consultees. Foundational components also include the absolutely basic user requirements from bodies such as infrastructure and transport bodies. They should not have to wait till preferred option stage before being able to set down their requirements, far too late. A component based approach can proceed that you can design some things before you know everything, because you will never know everything and if you try you will be forever out of date. That means banishing forever the irrational morbid fear of English trained planners of lines of maps. Starting with rough lines on maps of potentially good sites based your imperfect knowledge and information is the only way to elucidate and capture the spatial wisdom of teams and stakeholders on how to make place. As a result of the initial sprints what you dont know about your ‘reasonable options’ will be clearer earlier on, rather than in a panic of a few weeks before your consultation deadline where the gaps in understanding are painfully exposed from the consultation. There is also the opportunity to make the merging plan process more open and transparent by gradually opening up discussions on components as alternatives become clearer. Cpomponents can also be designed around finding what we dont know but need to know to make certain things happen, continuously controlling and managing risk.